Q: Tell us something more about your flagship product, the Haze Dual Vaporizer? A: After much research, testing and development Haze Technologies released its flagship product, the Haze Dual Vaporizer. As testament to being one of the best portable vaporizers, the Haze Dual was awarded the Good Design award in 2015 and even included in the “Everyone Wins” Nominee Gift Bags given to Oscar® nominees after the show. 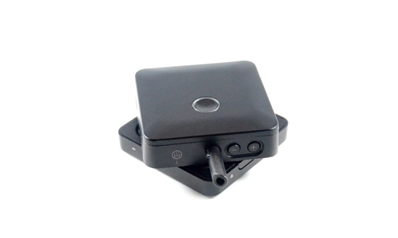 After receiving much popularity from the Dual, Haze Technologies turned to its next innovative product, the Haze Square, the first quad chamber convection on demand vaporizer. Haze Technologies intends to continue redefining the industry with “game-changing” multi-chamber technology. Q: You’ve recently launched a new product – the Haze Square; could you tell us something more? 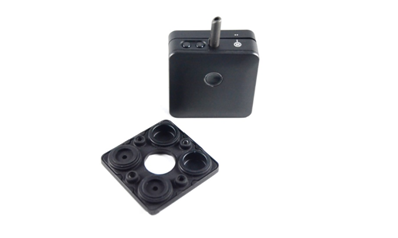 A: Haze Technologies is happy to present the first ever quad chamber vaporizer, the Haze Square. Rotate through different materials (dry herbs, waxy concentrates or ejuice) or quadruple the amount of a single material. Prepack pods to interchange as needed or swap out entire trays to never worry about making a mess of materials or refilling in public again. Finish a chamber? Simply switch to the next chamber to start a fresh pod. The Haze Square uses convection heat on demand to deliver flavorful vapor clouds with little to no wait between draws, go from room temperature to 350F in less than 3 seconds. The Haze Square Vaporizer is always ready for use any time any place. The Square is also the first USB-C vaporizer allowing it to fully recharge from dead to full battery in less than 45 minutes for little to no downtime. Similarly, the USB-C can be used to connect to the Haze Square App for further adjustments to settings from temperature 320F – 480F, preset history or customizing the light and haptic feedback. Q: How exactly does the Haze Square work? A: The Haze Square Portable Vaporizer uses four pre-packing material pods that can be filled in any combination of dry herbs, waxy concentrates or ejuice you prefer. Mix and match flavors, switch materials or to a new pod by rotating the Square’s exterior lid. The active chamber is identified by number (1,2,3,4) and rotated to align with the heat symbol at the top of the Haze Square. Temperature can be adjusted by pressing the + or – buttons. There are 5 temperature presets (360, 370, 380, 390 and 430 °F) which are identified by color starting with a flicker of blue to indicate the lowest temperature, gradually to purple, pink and then a red for the hottest. Temperatures may also be customized to your liking from 320-420°F with the Haze Square Pro App available for MAC and Windows 10 users. The App can also be used to adjust settings such as LED color and restore previous presets in your history for use later. Once the material pods are loaded with materials and placed back into the Square, you can power on with a triple tap to the LED start button located on the front of the device. The Haze Square start button will shine solid blue to indicate it is powered on and ready to vape. Press and hold the start button to begin the convection heating of materials. The start button will blink blue signaling it is heating and turn green when the chamber is at the desired temperature. Once green your ready to start vaping. Ready for another draw? Repeat the process until the light goes green. The Haze Square takes approximately 3 seconds to heat to green from room temperature followed by an even shorter heat up duration for the following draws. 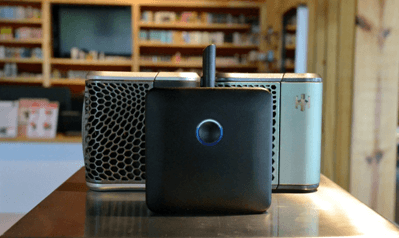 Truly an on-demand vaporizer, the Haze Square only heats while the start button is pressed. This feature makes the Square much more efficient and great for reusing the same chamber for multiple occasions throughout the day. Q: Can you give us insights into the Haze Square’s features? A: One of the Haze Square’s best features is the four chambers. The ability to use any material at anytime, anywhere is incomparable. If you are out at an event, hiking or simply being adventurous who wants to stop in the middle of the action to grind, refill and reload a vaporizer? Not to mention this can be wasteful and is not the least bit discreet when in public. The Haze Square has you covered! If one chamber is done, rotate to the next. Tired of a flavor? Rotate. Want to switch materials? Rotate. You can see how four chambers would become growingly convenient. Next the Haze Square is the first USB-C vaporizer allowing it to charge from dead to full battery in less than 45minutes. Save yourself from downtime waiting on slow charging units instead quick charge the Haze Square and you’re for action. Q: What is on the roadmap for Haze Technologies moving forward? A: Haze Technologies are committed to bring innovative vaping products to the market. Focusing especially on developing the best portable vaporizers for dry herb and concentrate consumption. Haze Technologies will continue to engineer one of a kind vapes with unique features and greater performance.